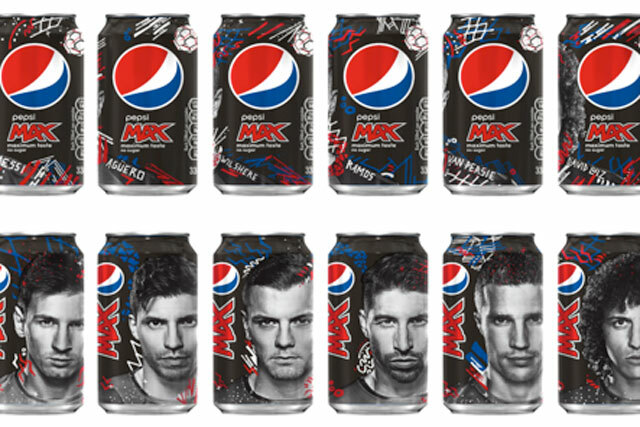 Pepsi is attempting to ambush arch-rival Coca-Cola's multi-million pound sponsorship of the World Cup in Brazil with its own "superstar 2014 football squad". Footballers including Argentineans Lionel Messi and Sergio Agüero, Englishman Jack Wilshere and Brazilian David Luiz make up a 19 man team that will form part of its 'Live for Now' campaign. Kristin Patrick, global chief marketing officer at Pepsi, said: "Pepsi has had a tremendous relationship with football, going back nearly 15 years. We’ve brought together our most impressive Pepsi football roster yet, comprised of players who truly embody our brand spirit. "Throughout the year we’ll be collaborating with them to bring our fans exciting and engaging content, products and experiences – bringing fans closer to the game they love." The Pepsi-sponsored players announced they were part of the campaign on social media to kick off a series of year-long activities. All the players will star in a global TV ad later in the year and a selection of the players will be featured on limited edition packaging, which will go on sale from March. David Luiz, Chelsea player and vice-captain for Brazil's national team, said: "For me, playing football is about making the most of every second on the pitch and showing your love and character for the game – and for the fans. "I can't wait to join fans from across the world and celebrate a big year for football."